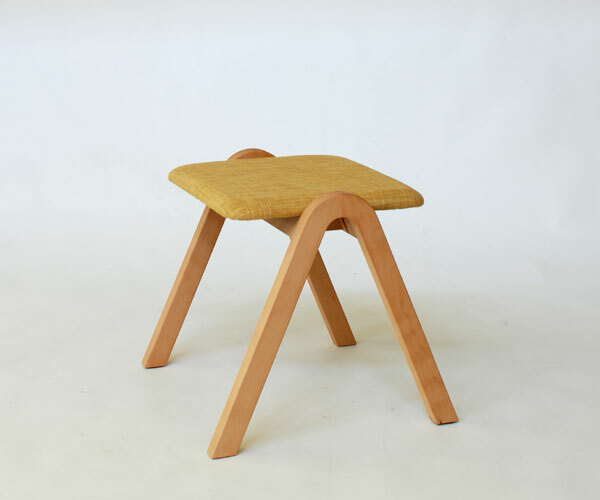 LA chairの背中を取ったためA型の脚だけが残り、A stoolという名になりました。スタッキングが可能な便利なスツールです。（小泉誠） We think you can imagine the origin of this stool’s name. Because when you see the legs, you can find the shape of “A” very easily. You can stack these stools, so it is very useful.